Elizabeth Meyer put it so well in her “Forward” note in the book “Concordia Yawls. The First Fifty Years” where she states that “The test of beauty is eternal modernness”. She continues, “The Concordia Yawl will be both beautiful and modern forever.” Amen, Elizabeth. Beautiful and Modern, the Corinthian Classic Yacht Regatta is a wonderful venue for all Concordia yachts. 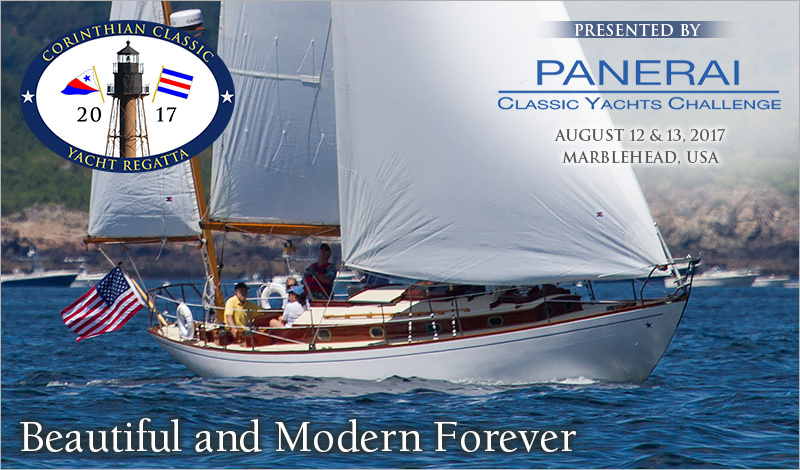 The Corinthian Classic Yacht Regatta – presented by Officine Panerai - will be held August 12th & 13th. This year we’ve created and will put up prizes for a Concordia division. We know there a few of you out there that would love to make a run at some silver, so why not join us. This is a rare opportunity for Concordia owners. The Concordia is beautiful, modern and meant to be sailed. We urge you to enter this event now. You’ll be happy you did.